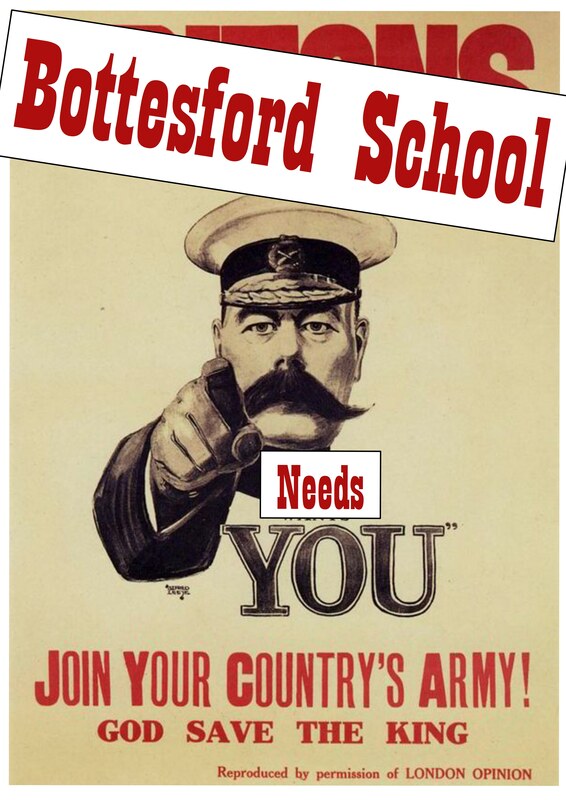 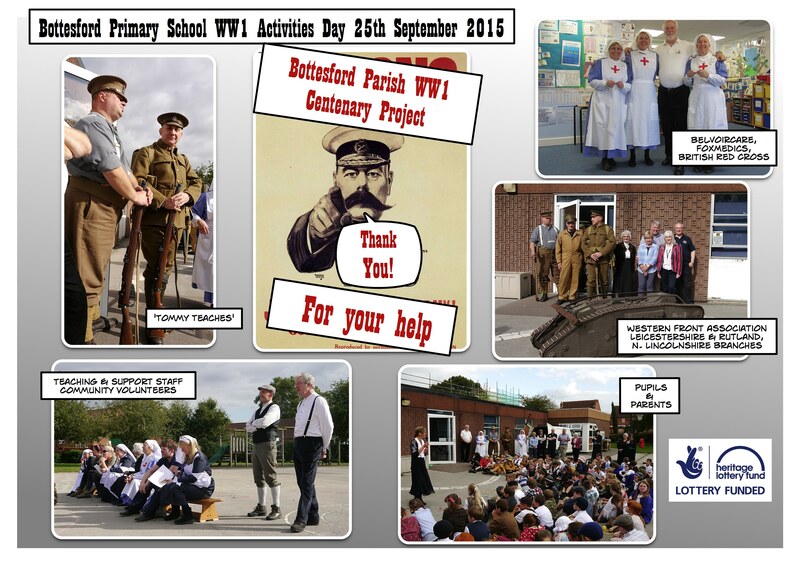 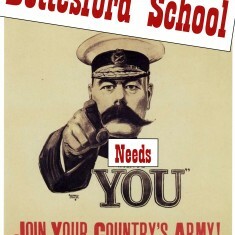 Thank you to everyone for all their enthusiastic help in making such a success of the Bottesford Primary School 1st World War Activities Day on Friday 25th September, 2015. 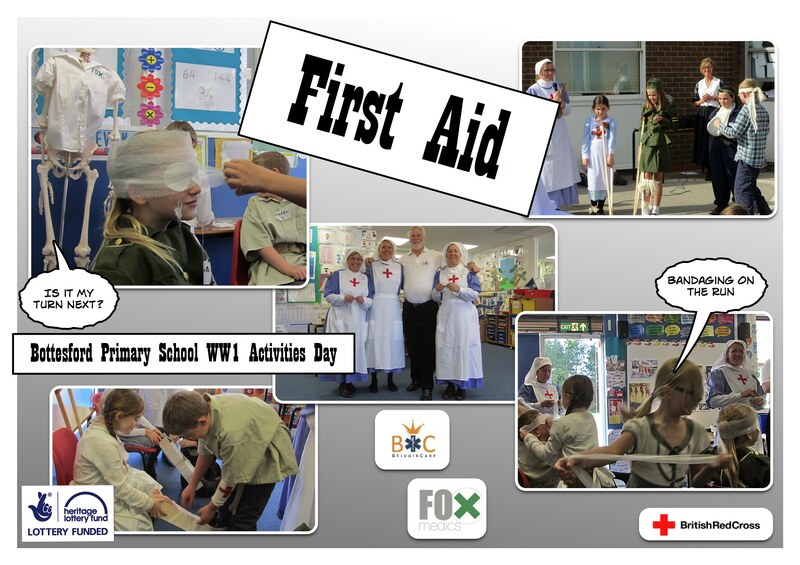 The whole School participated in activities designed to promote awareness and understanding of the experiences of former pupils who served in WW1 – their training, service equipment, daily routines of trench living, health, illness and injury, food and home comforts. 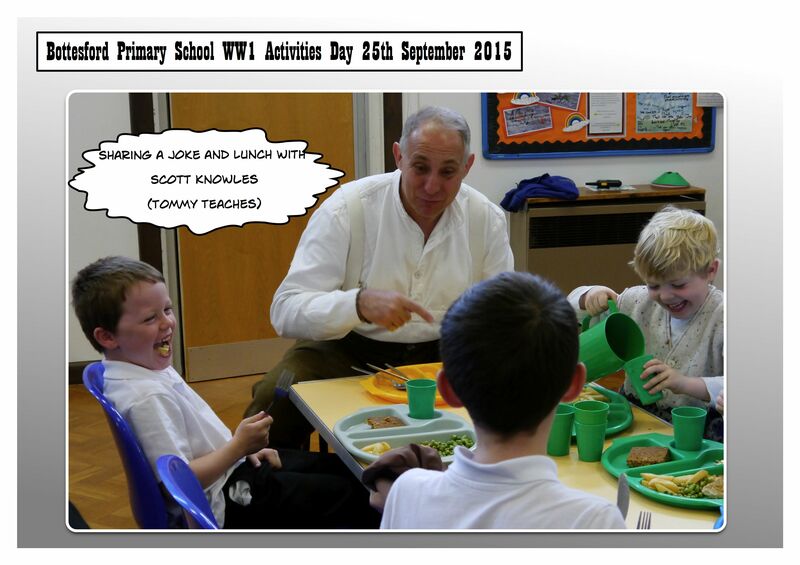 Everyone at the school dressed up in period clothes and enjoyed a WW1 lunch. 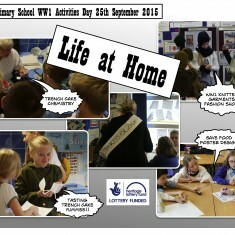 Rachel Moore, history teacher at the School, coordinated the day with the assistance of over 20 volunteers from the local community and beyond. 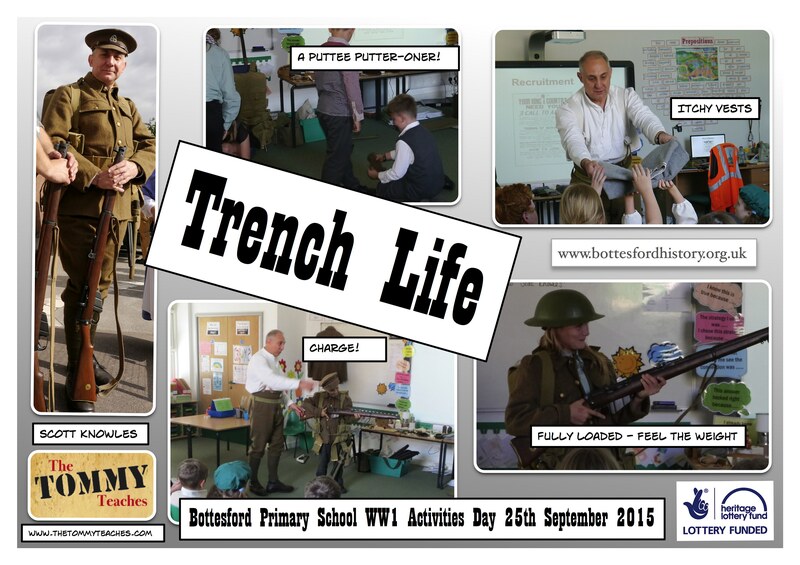 Scott Knowles from ‘Tommy Teaches’ led activities focused on life in the trenches. 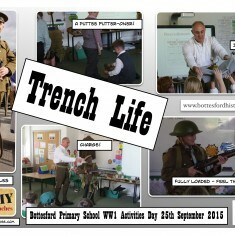 Members of the Leicestershire & Rutland Western Front Association (Valerie Jacques, David Humberston, Mr. and Mrs. John Taylor, and Andy Ball) displayed WW1 memorabilia. 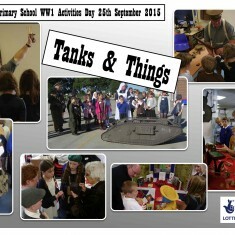 Ian and Betty Douglas from the Lincoln & N. Lincs. 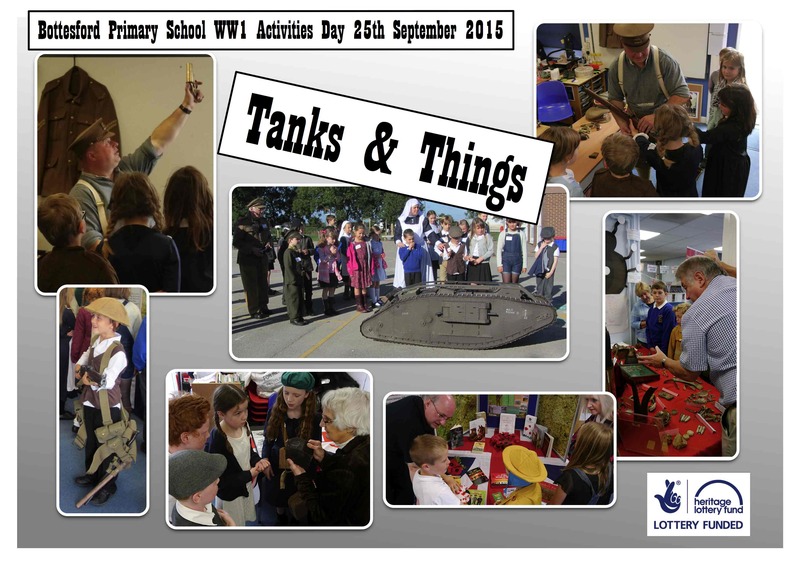 branch of the Western Front Association demonstrated a working model of a WW1 tank. 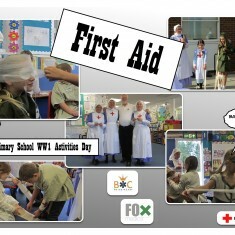 Martin Fagan from BelvoirCare and Katie Hateley from FoxMedics taught the battlefield first aid. 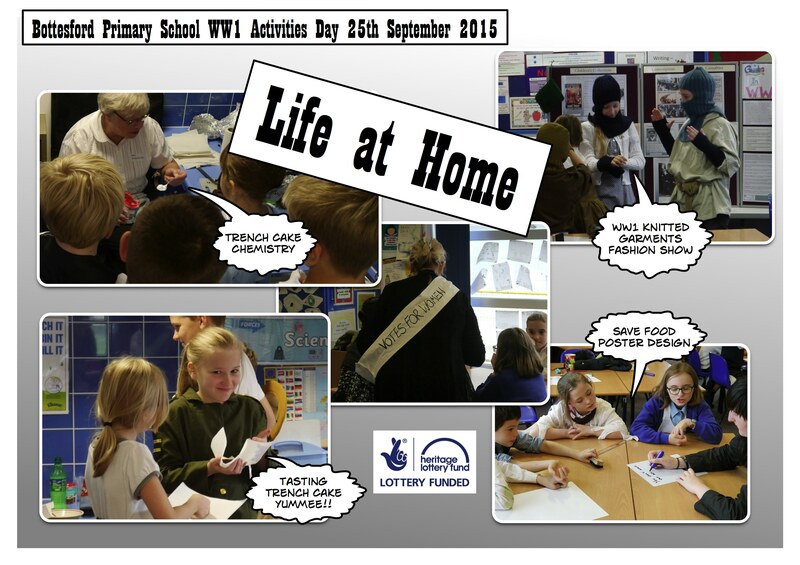 The Vale of Belvoir U3A Knit and Natter Group showed how knitted garments were produced during WW1. 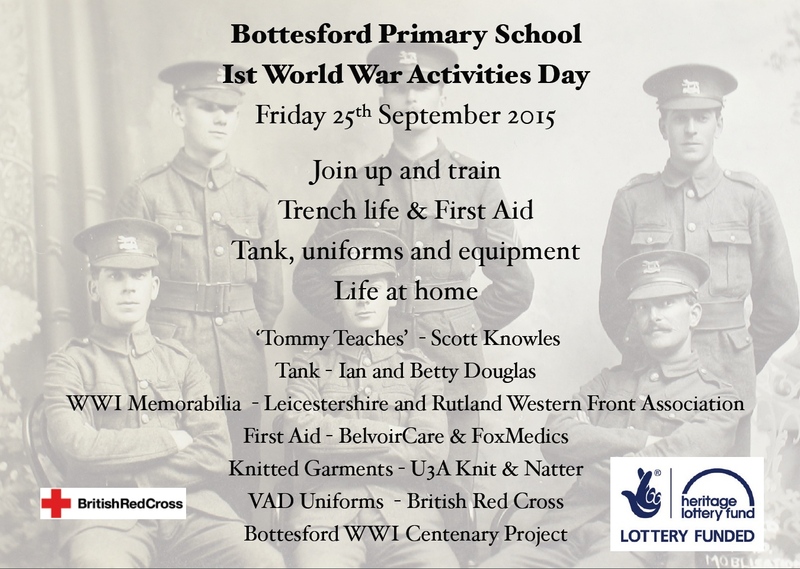 Volunteers from the Bottesford Parish WW1 Centenary Project also assisted staff and The British Red Cross provided VAD nurse uniforms. 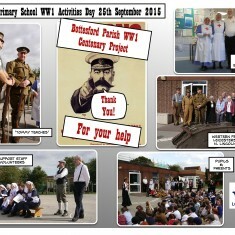 At the end of the day pupils teachers and volunteers joined in an assembly to reflect on their experience of the day and to remember those who served from the community. 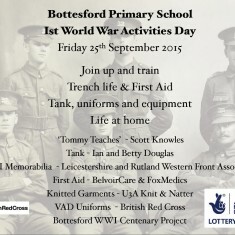 The Bottesford Parish WW1 Centenary Project is supported by the Heritage Lottery Fund. 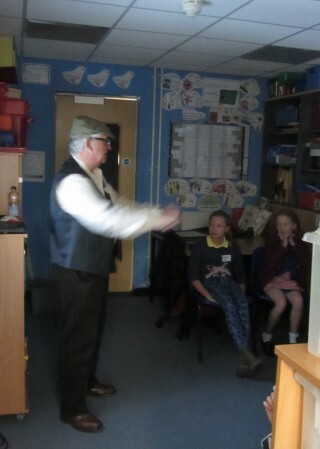 Small groups of children experienced battle noise presented by Dave Slater. 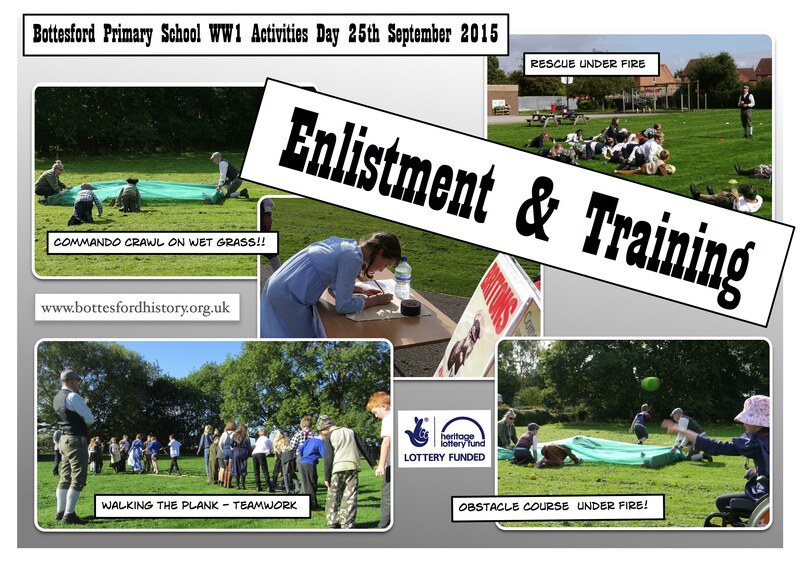 This page was added on 01/10/2015. 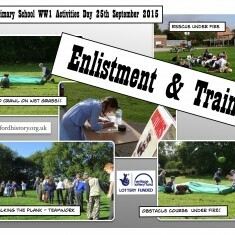 All the volunteers thoroughly enjoyed the day. 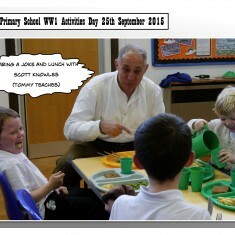 The enthusiasm of the pupils, teachers and support staff was very much appreciated.